Andrew Warhola was born in 1928 in Pennsylvania. He created some of the most recognizable and influential pop art during the 1960s. 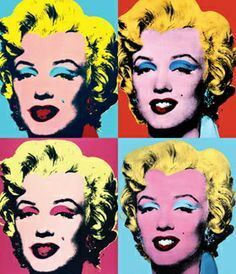 Pop art is when artists draw from advertising, celebrities, and popular culture in general. Andy Warhol used many types of media to create art; he was one of the first to create computer-generated art. He has also written many books on art, for example The Philosophy of Andy Warhol. He had a difficult childhood. He was often bedridden due to complications of scarlet fever, and put up photos of celebrities around his bed. He has said that this had a large influence on his art. The Andy Warhol Museum in Pittsburg is the largest museum in the U.S. dedicated to a single artist.